Were you planning to spend a few lazy afternoons this summer with video game controller in hand, polishing your fighting skills in "Final Fantasy Dissidia" or "Street Fighter V?" 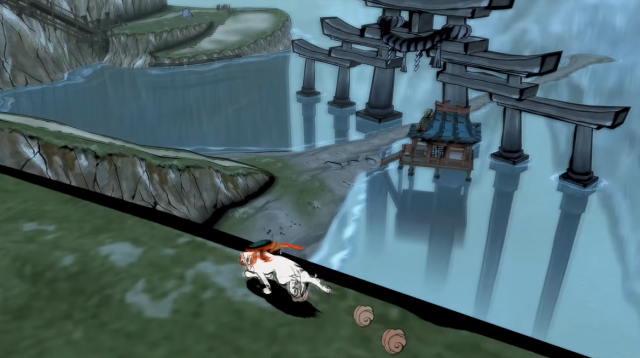 Or maybe you were looking forward to some less aggressive, but no less satisfying, time wandering through the enchanting Shinto-inspired world of "Okami" or collecting Japanese spirits in "Yo-Kai Watch?" However, unlike in the case of UK authorities warning parents after the death of a boy who’d been playing PC game Doki Doki Literature Club last month, none of the games on the General Commission for Audio-Visual Media’s banned list appear to have any direct connection to the Saudi children’s suicides, nor is suicide a common theme throughout them. Some, like "Okami" and "Yo-Kai Watch," are even considered quite kid-friendly in most of the world. ● "Attack on Titan 2"
● "Dead Rising 3 Apocalypse Edition"
● "Deception IV: The Nightmare Process"
● "Devils Third DmC – Definitive edition"
● "Dragon’s Dogma: Dark Arisen"
● "Fist of the North Star: Ken’s Rage 2"
● "One Piece Burning Blood"
● "Street Fighter 30th Anniversary"
Also included in the ban are "Agents of Mayhem," "Assassins Creed 2," "Clash of the Titans," "Dante’s Inferno," "Deadpool," "Deus Ex Mankind Divided," "Dragon Age: Inquisition," "Draw to Death," "God of War 1," "God of War 2," "God of War 3," "Grand Theft Auto V," "Heavy Rain," "Hitman: Absolution (2012)," "Mafia 2," "Mafia 3," "Metro Redux," "Past Cure," "Prison Architect," "Saints Row IV," "The Order 1886," "The Saboteur," "The Witcher 3," "The Nonary Game," "Thief," "Vampyr," "Watch Dogs," "Wolfenstein 2" and "Wolfenstein: The New Order." ▼ "Okami’s" Amaterasu, an incarnation of the Shinto sun goddess, runs past a shrine’s torii gateway. The commission did not expand on the reason the games were banned, instead citing undefined “violations of rules and regulations.” As such, it’s possible that the games on the list simply caught the organization’s attention during a general scrutinizing of online and video game content following the children’s deaths, and were subsequently fluffed for depictions of graphic violence or other aspects deemed unseemly (getting back to "Okami" and "Yo-Kai Watch" once more, the games draw heavily from Japanese religious beliefs, mythology, and folklore). The commission has not specified whether the ban simply prohibits the sale of the games, or criminalizes their possession or play. Almost all of those titles aren’t children’s games anyway... and I’m surprised Bayonetta 2 ever got approved due to “conservative values” in Saudi Arabia. My husband banned ALL games and manga and many TV shows in our home. Not knowing anything, I simply consented. This all paid off (so to speak) in sanity and success in more mentally challenging activities (such as mastering Morse Code just for fun or memorizing PI to the umpteenth digit). It DOES seem suspicious however (if ANYONE can play any games on SAUDI ARABIA) that the religiously very different ones were also banned. Muslims might mistake those references to mythology for "idolatry" if they were not better educated in world religions' phenomenology and theology. I find too many video games played by children should not be. I refuse to let my 8 year old son on the computer or play on the iPad more than a few hours a week. What he gets are design really for kids. These "cartoons" are full of subliminals.